The Poetry in Motion Community project seeks to reach new and emerging poets across the region. 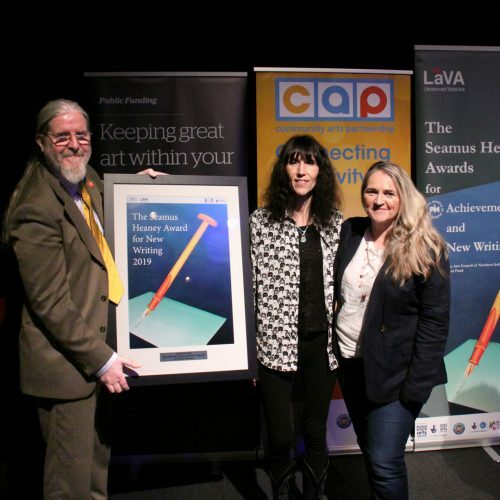 As with the PIM Schools project, professional poets facilitate workshops, feedback sessions and masterclasses for writers groups and individuals seeking to improve their work. 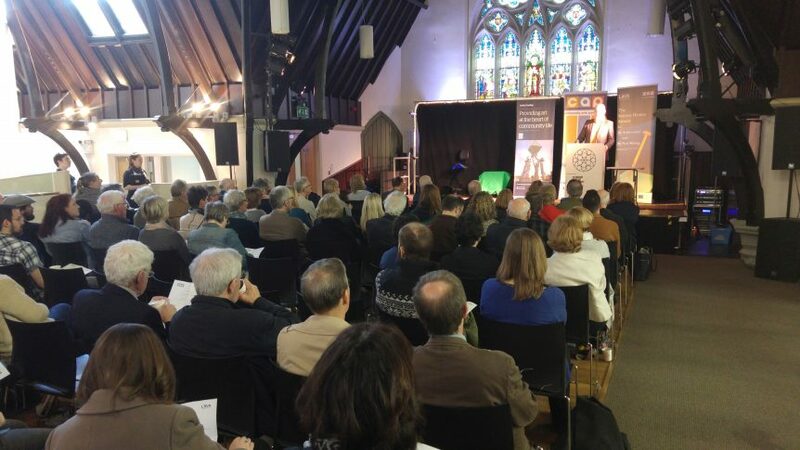 This project seeks not only to encourage new and emerging writers but also enable those writers to connect with one another and to encourage one another. The coming together at events facilitates new connections as writers put names to faces and feedback and celebrate one another’s work. Over the course of the project we see writers returning with new work and honing their craft year on year. This project facilitates the development of writers, the craft of writing and continual improvement of work. The emphasis is on the quality of writing and accessing paths to an audience which might otherwise be inaccessible. Each year, an anthology of work is produced from an open submissions process. 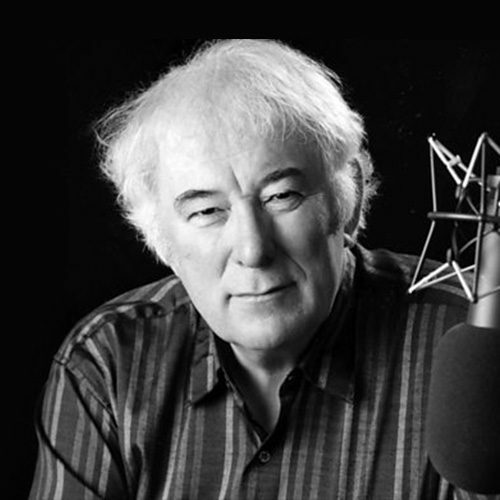 All selected submissions are put forward for the Seamus Heaney Award for New writing. 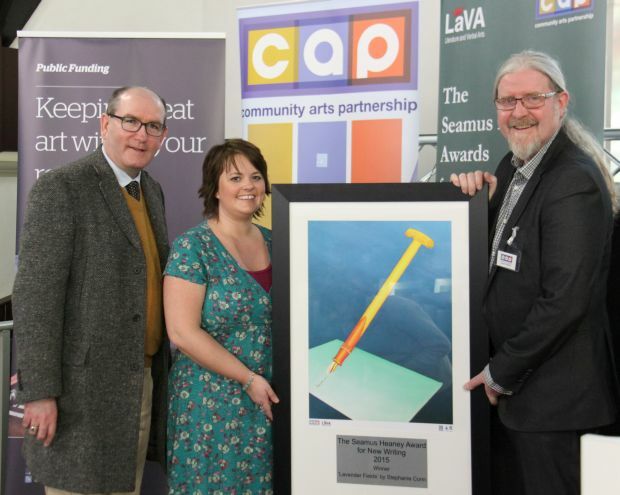 This has been an invaluable vehicle for the winners of this award, enabling them to be recognised within their field and to progress further with publication and reading opportunities. 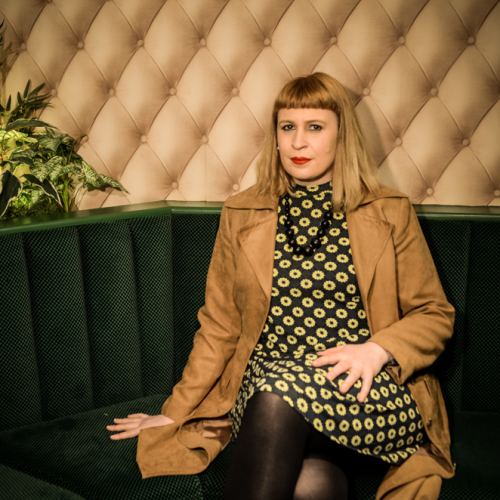 The inaugural winner, Stephanie Conn, has just returned from Tasmania where she was a guest at the Tasmania Poetry Festival. 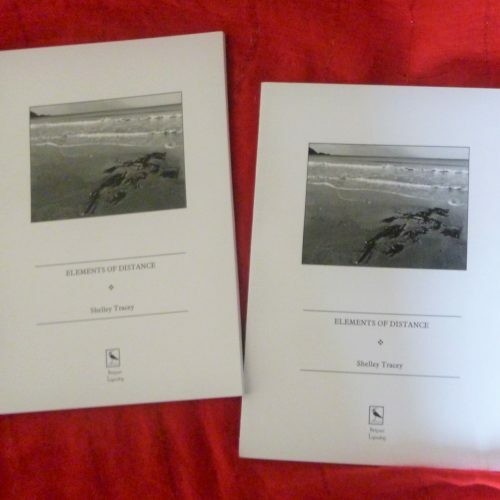 Since winning the award, Stephanie has published a full collection and a pamphlet and has been invited to read at a plethora of events. 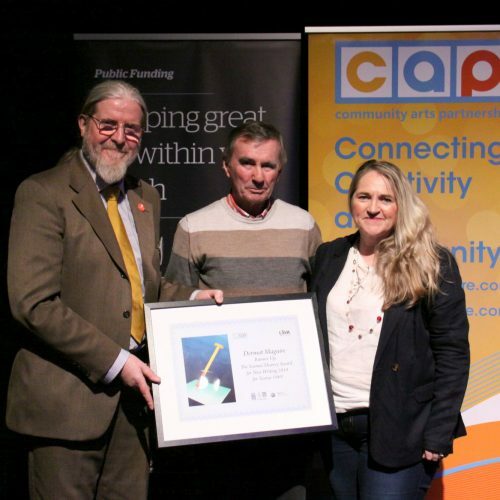 “I first became aware of Community Arts Partnership and their work through the Community Project, Poetry in Motion, in 2012. 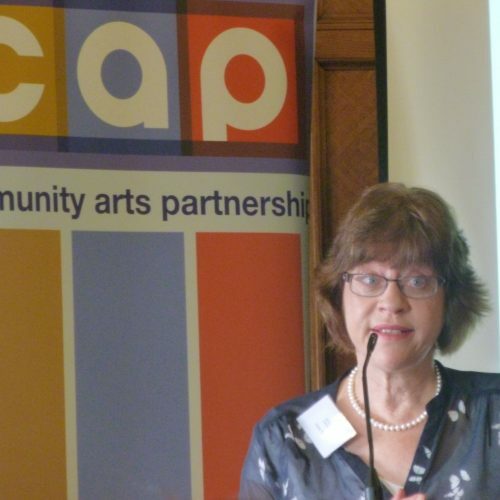 I was a member of Ards Writers and the group had the pleasure of welcoming Poet Brenda Liddy to the Web Theatre, Newtownards, to facilitate a poetry workshop on Place. We all left feeling inspired and worked on our initial words and ideas, before submitting our poems to be considered for the anthology, ‘The Poet’s Place’. My poem “Dandelions” was accepted and the launch in The Dark Horse was one of the first poetry events I attended in Belfast. 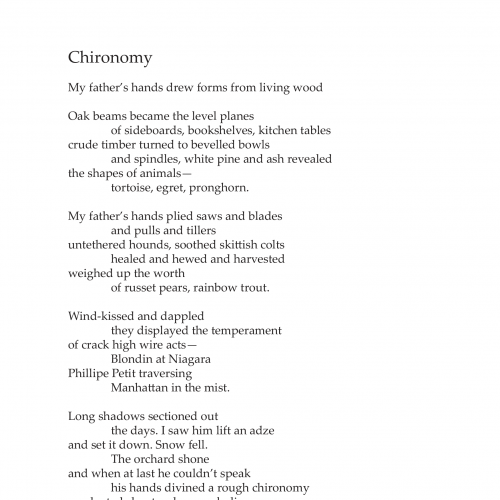 I submitted work again in 2013 and my poem “Cutting Lemons” was included in the ‘Still’ anthology. 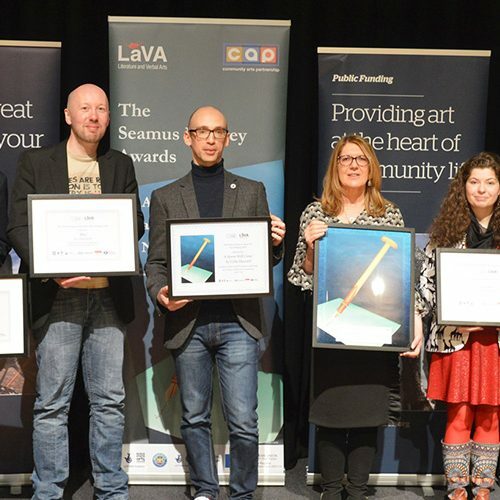 In 2015 I submitted “Lavender Fields” and with that poem I was absolutely thrilled to win the inaugural Seamus Heaney Award for New Writing. This award comes at a transitional period in my life. Having become ill in 2013 and following a year of tests, investigations and scans, I was finally diagnosed with Fibromyalgia. My life changed dramatically; my busy, activity-filled days of teaching, studying, writing, running a home and looking after my children came to a grinding halt. For six months I could barely get out of bed.